911 Operator lets you put your patience and management skills to the test, whether you’re eager to save lives on the go or want to give out orders from the comfort of your couch with a Pro Controller. The Free Play mode lets you choose a city to play with real streets, addresses and the emergency infrastructure, or attempt the Career mode, which contains six cities with unique events, including surviving an earthquake in San Francisco and saving Washington, D.C. from bomb attacks. Deploy emergency response teams from the police, fire department and paramedic units at your disposal, such as a variety of vehicles from common ambulances to police helicopters, essential equipment like bulletproof vests, first aid kits and technical tools, and specialists with specific abilities. The opportunity to play in over 900 cities worldwide! Upcoming emergency management sim, 911 Operator. Launching worldwide on the Nintendo Switch on October 26, the game will also have two expansion packs, Special Resources and Every Life Matters. 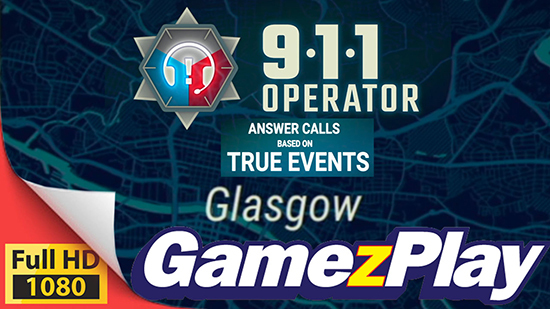 911 Operator will be priced at $14.99, with DLC packs priced at $3.99 and $5.99, respectively. A bundle of all three will be available for $22. The core game and bundle are discounted 10% for pre-purchase from October 12 through 25. SONKA will also host an AMA on the Nintendo Switch subreddit on 911 Operator launch day, October 26, at 9:00 PM PDT. Bartosz Gajewski, game designer and producer, will join us to answer questions about the development of the original game. SONKA will also share the final bears for the Astro Bears Party update, with in-game models, stats and other info.